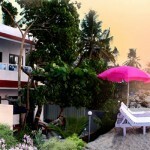 Kovalam beach is the integration of three fascinating beaches separated by rocky outcroppings in its 17 km coastline. 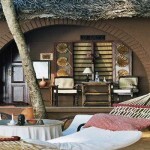 Lighthouse Beach, Hawa Beach and Samudra Beach makes the famous and fascinating Kovalam beach. 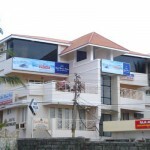 Kovalam beach is one of the hotspot tourist destination in Kerala. The beauty of this beach is breathtaking which allures millions of tourists every year. 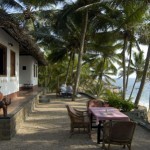 Light House Beach is the southern most beach of Kovalam and is the most famous among the three. Vizhinjam Lighthouse a 35 meter high lighthouse is located adjacent to the beach which adds lavishing beauty to the beach. The beach is more frequently visited by the tourists. 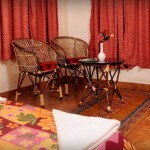 The beach is well developed and have many accommodation facility nearby. Hawah beach can be reaches from here in just five minutes walk. The beach offers beautiful view of the sunset . Hawa Beach also known as Eve’s Beach is located adjacent ot the Lighthouse Beach. The calm bay of blue waters and the rocky cuts makes it a paradisaical place to enjoy. Tourists can enjoy water sports , sunbathing and surfing here. The beach looks fabulous during moonlight. 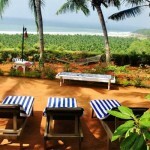 Samudra beach is the northern part of Kovalam and do not have much tourist rush here. The beach shallow waters stretching for hundreds of meters are ideal for swimming. 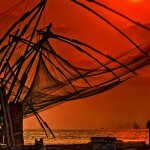 By Train– Trivandrum Railway Station is the major railway station of South India is located about 17 km from Kovalam. 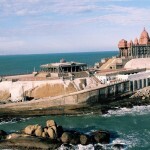 By Road– Kovalam is in the outskirts of Thiruvananthapuram the state capital. 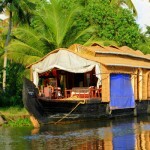 It has a very good road network with cities of Kerala and South India.